What are you working today? For years gyms have been filled with people asking this question to fellow gym-goers. Since 70’s, split routines have become the norm and jokes like “Monday is International Chest Day” flood the internet. One of the most common questions my weight training students ask me is, “Should I do train all my muscles the same workout or split things up?” As with any good training question, the answer to this question is, “it depends”. Here are some questions to ask yourself and some considerations to help you lay out your best weekly training plan. What do you mean by a split routine? Whole Body: training all the major muscles/movement in a single training session. A/B Whole Body: training half of the major movements one training session (e.g. row, bench, squat) and the other half (e.g. chin-up, standing press, deadlift) in a separate training session. This could also be two full whole body days in which you alternate between exercise variations for the same basic movement/muscles (e.g. A session: bench press, B session: push-ups). Upper/lower: training upper body movements one training session and lower in a separate session. A/B/C Whole Body: doing 3 different training routines each week that consist of different movements but all contain an upper body pulling exercise, an upper body pressing exercise and some type of lower body movement. Body Part Splits: dividing up muscle into different days (e.g. Day 1: Chest & Biceps, Day 2: Legs, Day 3: Shoulders & Triceps, Day 4: Back). Movement Splits: similar idea to a body part split, but the split is based on movements instead of muscles. Click HERE for more details. I always start beginners with whole body routines. Creating an overload stress (i.e. enough stress on the body to cause to adapt) is very easy for people who are not used to training. Also, beginner workouts are easy to recover from. Regardless of their goals, I start beginner clients and athletes off with a simple whole body routine consisting of about 6 major movements. If you are a beginner you can simply do these same exercises each time you come to the gym (e.g. Monday, Wednesday, Friday) and add weight most days. This style of training allows you to make really fast progress. For example, if you added 5lbs each training session to your squat and you did the squat 3 times a week, you would gain 15lbs a week on your squat. Many beginners can do this for several weeks and the result is rapid progress. No, this will not last forever, but take advantage of it while you can! Another great benefit of whole body routines for beginners is that they do the same movements frequently. In today’s fitness world where everyone wants a different exercise every time they train, this may seem incredibly boring. However, this high frequency of practice means you will learn the technique fast which improves your results and decreases your risk of injury as you move to the intermediate level. As you get more advanced, it is harder to create an overload stimulus. This requires you to train harder. Harder training means it can take for you longer to recover. Split routines offer one solution to this problem. You can go to gym and just focus on a few muscles or movements, hammer them and then have longer recovery time before you go at them again. Bodybuilders: if you are a bodybuilder at the more advanced level, you may find body part splits to be an effective option. If you are a beginner, I would still start with whole body and then move to upper/lower at the intermediate level. Athletes: if you are an athlete (even with a goal of getting bigger for your sport), I would suggest sticking with a whole body, A/B whole body, a movement split or upper/lower split (for more details, see my previous posts on Body Part Splits for Athletes Part 1 and Part 2. Fat Loss: for fat loss, I almost always use some upper and lower body work each training session as this really cranks your metabolism (click HERE for more details). It is hard to get this metabolic boost with “Triceps day”. The people who have the most success with body part split routines are those who can hit the gym several days. This usually means about 4-6 session per week. 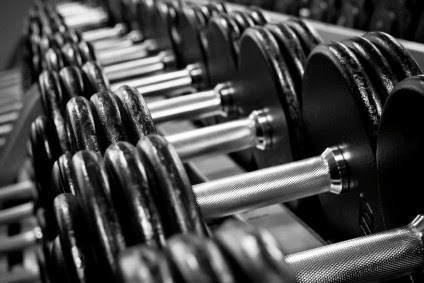 If you can only train 2-3 days a week, you need to hit more movements each time you are at the gym. The more other things you have going on in your life, the more you need to streamline your training. I have seen split routines work really well for young university students who have plenty of time to train while they procrastinate writing their term papers. However, when training athletes or client who are busy with other things in life (e.g. career, raising children), I seek more time-efficient options such as whole body, A/B whole body or possibly upper/lower splits over body part splits. The people who have the greatest benefit from split routines are those who use anabolic steroids. That is not all to say that you cannot use split routines if you don’t use drugs. However, if you are natural, you will help your natural hormonal levels more with some intense leg work more than once per week. As an interesting history note, split routines came on the scene about the same time as steroids. Prior to the steroid era, most people used whole body, 3 times per week training. Note: I mentioned this for your consideration – I totally concede that there are many very successful natural bodybuilders who use body part split routines. As a university strength coach and professor, I see split routines work fairly well for young guys – why? They are at their optimal hormonal levels. I tell my students and athletes that at 18, they are pretty much on steroids naturally. This makes it easier to go in and just do arms and still make gains. As you move out of your 20’s you will start to have your body’s natural testosterone levels start to drop off and this drop will accelerate as you get older. With people in their 30’s and beyond, I want to optimize natural testosterone levels (more on this in a future post). Intense leg training is a great help for this. I know this may sound like a gross over-generalization, but I have often found that ladies like and do better with some form of whole body training than men. Note: I still use whole body for some guys and I have occasionally used split routines for women. Ultimately the most important factor in any training decision should be your results. If what you are doing is keeping you healthy and moving you towards your goals, then you are on track. If not, move on and find something that works for you! As with most training questions, the question of whether or not to use a split routine should be based these factors. In the world of training, always seek to move away from “right” and “wrong” and do what is best for you based on your needs, goals and other relevant circumstances. Please feel free to share your experiences with whole body or split routines in the comments section below.